This is the best grill on the market for a number of reasons, but mostly for the number of features that can be purchased along with it. 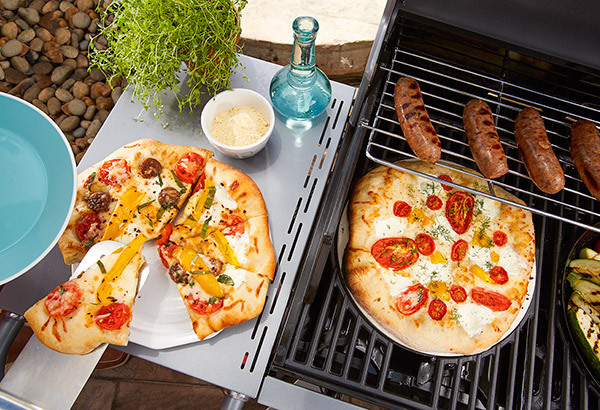 In addition to all the same great features found in most grills, this one has the some excellent options, including two separate grilling grates to target cooking surface, a kabob grid that will keep veggies from rolling away, a vegetable tray, a chicken roaster, and a pizza stone. 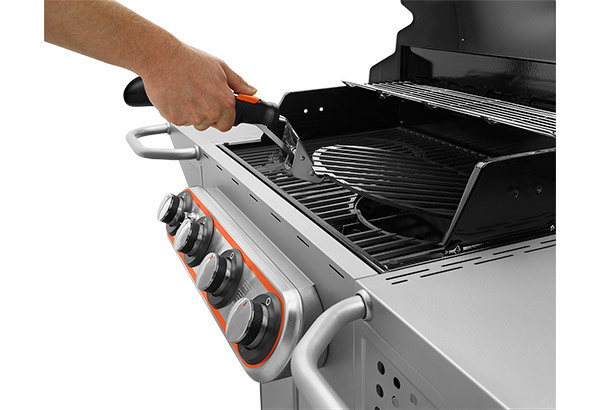 This grill also comes with a special tool to grab and remove all these accessories easily. They had me at the pizza stone. All these great items are also easily stored in the cabinet below. Combine these with an impressive 48,000 BTU’s, porcelain coated grids, 450 sq. in. of cooking surface, electronic ignition, and you have the best grill on the market in this price range.